As you guys might have seen on my Instagram stories (follow me here! ), my trip to Iceland was part of a stopover on my way to the Pacific Northwest. Icelandair offers the option to have a stopover in Iceland up to 7 days, without having to pay extra for your flight. So basically I only paid for a return flight Brussels-Portland but had 2 trips in 1! 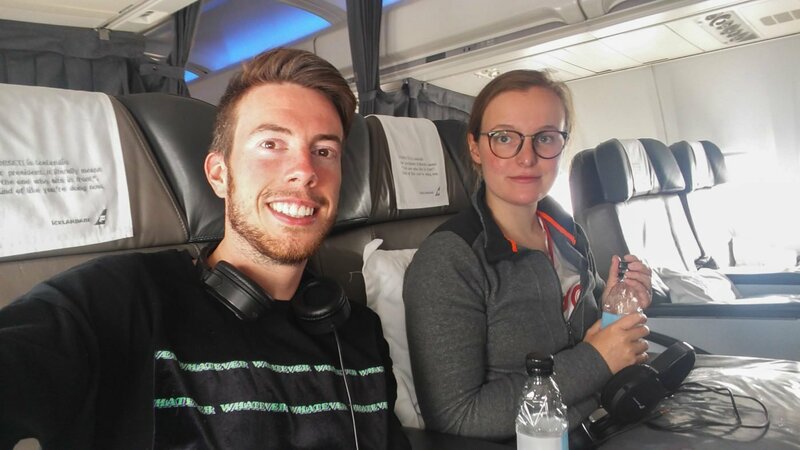 On my flight towards the United States, I had the opportunity to experience Saga Class, which is Icelandair’s take on Business Class. Allow me to tell you a bit more about it! 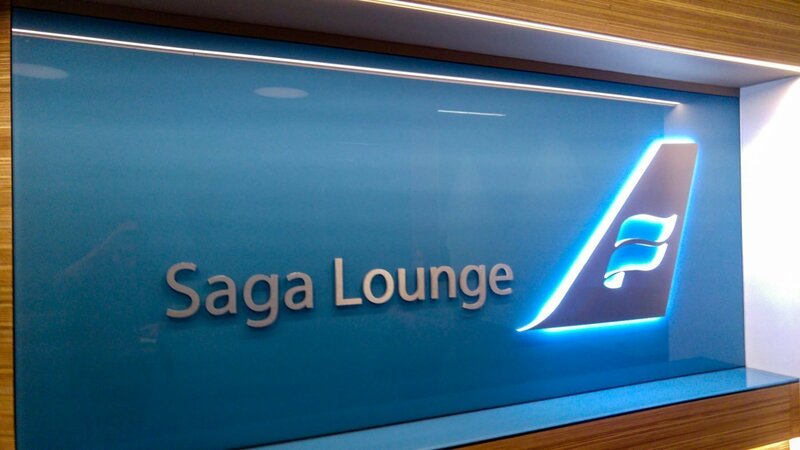 First of all, at the airport you’re invited to use the Saga Lounge. 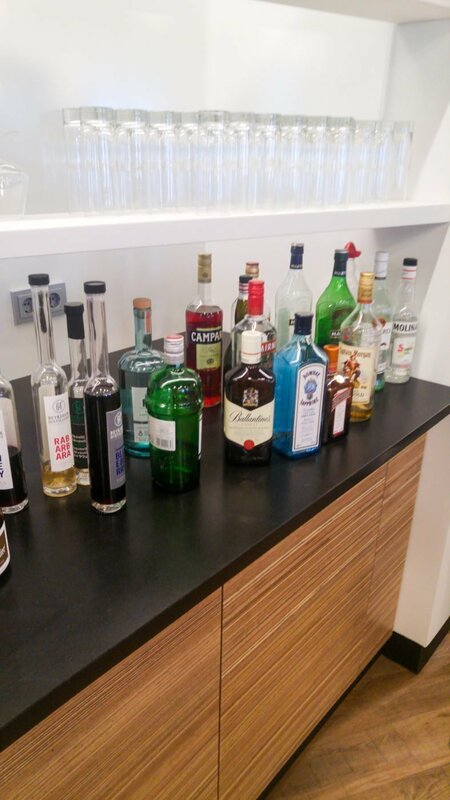 Not every airline has their own private lounge, it is often shared with other airlines, but since Keflavik is obviously Icelandair’s headquarters, they did their ultimate best and delivered an astonishing private lounge there! Our time there was utterly amazing. 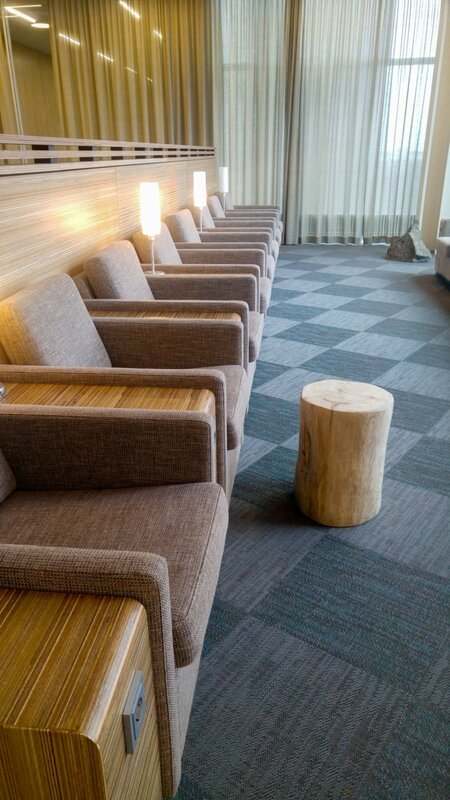 It is designed in a way that there are plenty of nooks and crannies with roomy seats to retreat in while you wait for your flight. Ideal for business people who travel solo and want to chill out a bit. Now over to the experience in flight. Saga Class in the Boeing 757, the aircraft most used by Icelandair, is in itself a very intimate experience: only 16 business class seats. I was very lucky to travel in Saga Class when the flight wasn’t fully booked, which made it extra tranquil. The lay-out is 2-2 as opposed to 3-3 in Economy or Economy Comfort. Seats are wider and cushier but don’t recline all the way to form a flat bed. Still, that wasn’t an issue for me. I’m 6 foot 3 and had no reason to complain about space. 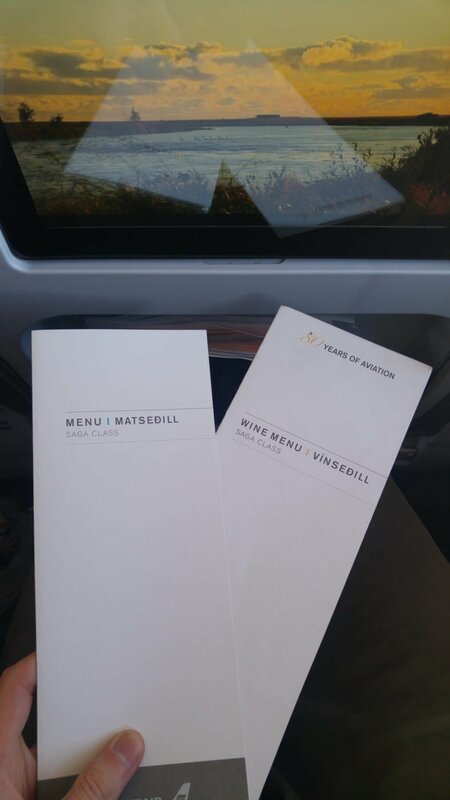 I’d say Saga Class is better than European business class and comparable to US Domestic First Class. 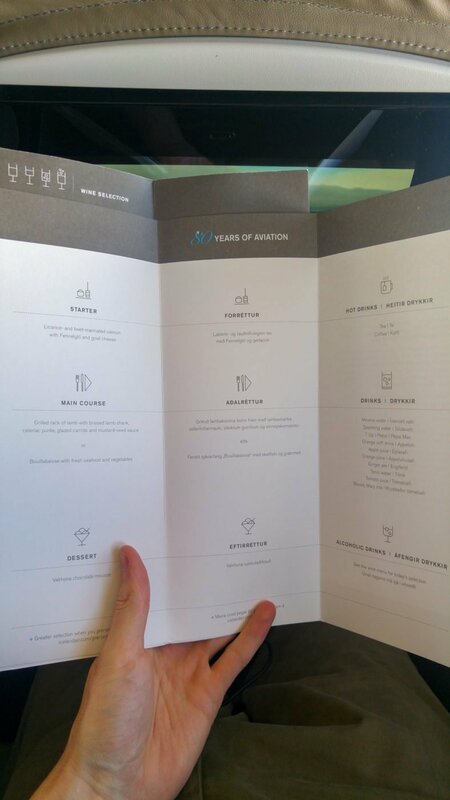 The feature I was most blown away by was the in-flight menu. 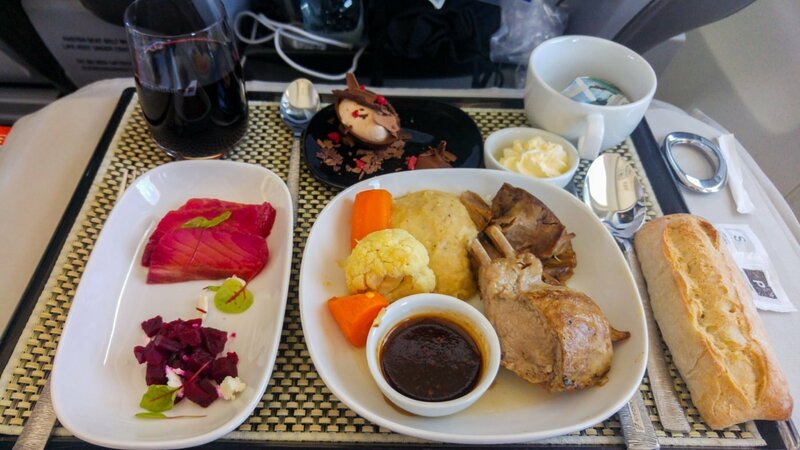 That was some good airplane food served on porcelain plates and genuine glasses for your drinks. 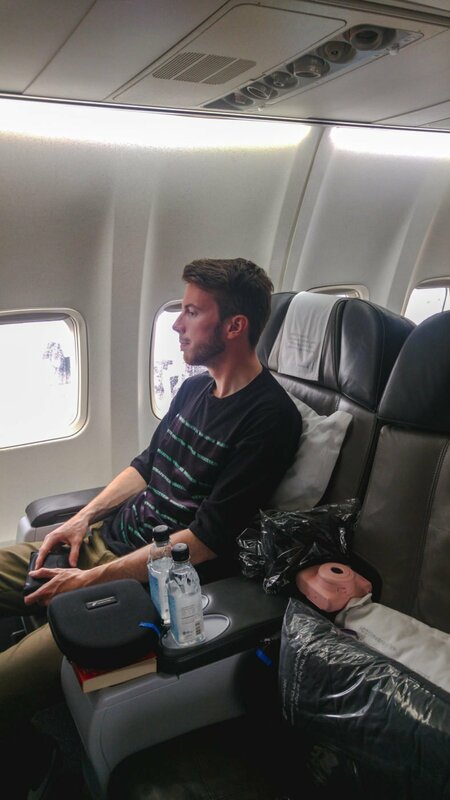 My girlfriend was particularly fond of the complimentary amenity kit, served on flights towards or from the US. Our limited edition ’80 years of aviation’ kit contained moisurizer, handcream, and lip balm from the Blue Lagoon, some seriously fluffly socks, an eye mask, ear plugs and a tooth brush. 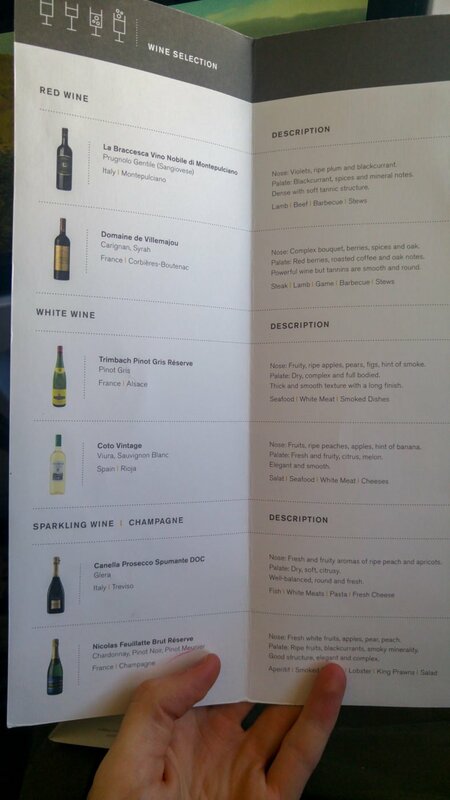 I’d say this is what you’d normally get in kits like these on other business class flights from other airlines. 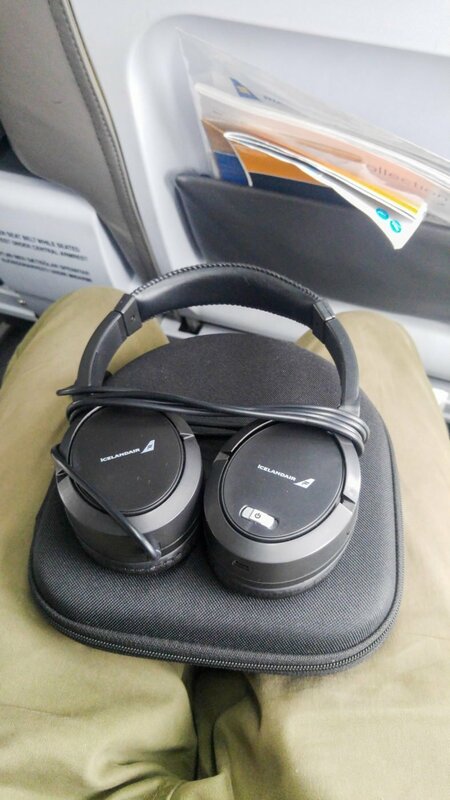 A nice touch were the noise-cancelling headphones that were provided during the flight.